If you want to understand poetry, ask a poet. “What is this?” you ask, “some kind of Zen saying?” Obvious, but subtle? Maybe. What I mean to say is that I have found poetry one of those distinctive practices of which the practitioners themselves---rather than scholars and critics---make the best expositors, even in such seemingly academic subject areas as the history of poetry. Of course, poets, like critics, get things wrong, and not every poet is a natural teacher, but only poets understand poetry from the inside out, as a living, breathing exercise practiced the world over by every culture for all recorded history, linked by common insights into the nature of language and existence. Certainly Allen Ginsberg understood, and taught, poetry this way, in his summer lectures at the Jack Kerouac School of Disembodied poetics, which he co-founded with Anne Waldman at Chogyam Trungpa Rinpoche’s Naropa University in 1974. Ginsberg references Pound’s pithy text The ABC of Reading and discusses his penchant for “ransack[ing] the world’s literature, looking for usable verse forms.” Pound, says Ginsberg—“the most heroic poet of the century”—taught poetry in his own “cranky and personal” way, and Ginsberg, less cranky, does something similar, teaching “just the poems that I like (or the poems I found in my own ear,” though he is “much less systematic than Pound.” He goes on to discuss 18th and 19th century poetics and sound and rhythm in poetry. One of the personal quirks of Ginsberg’s style is his insistence that his students take meditation classes and his claim that “the English verse that was taught in high school” is very close to the “primary Buddhist understanding of transiency.” But one can leave aside Ginsberg’s Buddhist preoccupations—appropriate to his teaching at a Buddhist university, of course—and still profit greatly from his lectures. Below, find links to eleven more of Ginsberg’s “History of Poetry” lectures, with descriptions from the Internet Archive. Unfortunately, it appears that several of the lecture recordings have not been preserved, or at least haven't made it to the archive, but there's more than enough material here for a thorough immersion in Ginsberg's historical poetics. Also, be sure to see AllenGinsberg.org for transcriptions of his “History of Poetry” lectures. You can find these lectures listed in our collection of Free Literature Courses, part of our larger list, 1,300 Free Online Courses from Top Universities. Part 3: class on the history of poetry by Allen Ginsberg, in a series of classes in the Summer of 1975. Gregory Corso helps teach the class. Percy Bysshe Shelley and Thomas Hood are discussed extensively. The class reads from Shelley, and Ginsberg recites Shelley's "Ode to the west wind." 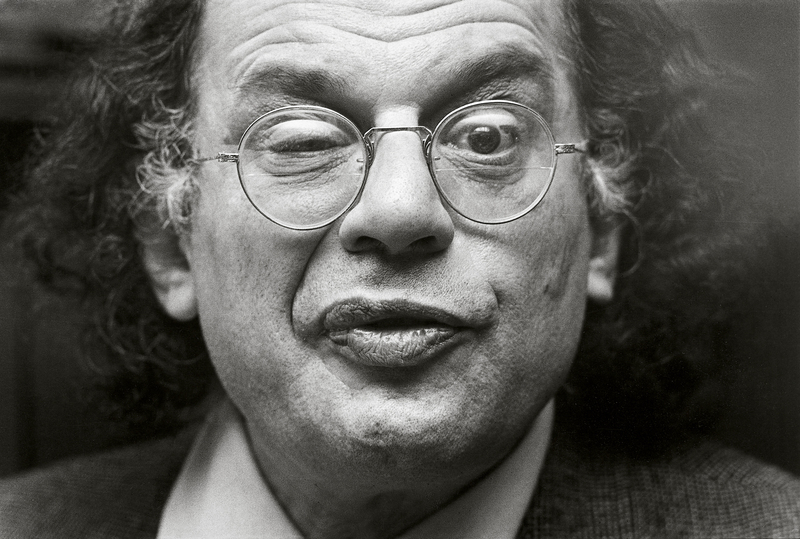 Part 10: A class on the history of poetry by Allen Ginsberg, in a series of classes from 1975. Ginsburg discusses William Shakespeare and Ben Johnson in detail. Putting poetry to music, and the poet James Shirley are also discussed. Part 11: A class on the history of poetry by Allen Ginsberg, in a series of classes by Ginsberg in the summer of 1975. Ginsberg discusses the metaphysical poets during the seventeenth century, specifically John Donne and Andrew Marvell. Ginsberg reads and discusses several of Donne's and Marvell's poems. There is also a discussion of the metaphysical poets and Gnosticism. Part 14: Second half of a class on the history of poetry by Allen Ginsberg, from a series of classes during the summer of 1975. Ginsberg talks about the songs of the poet William Blake. He sings to the class accompanied with his harmonium, performing several selections from Blake's "Songs of innocence" and "Songs of experience." Part 15: First half of a class on the history of poetry by Allen Ginsberg. from a series of classes during the summer of 1975. Ginsberg discusses the 19th century American poet, Walt Whitman, and a French poet of the same period, Arthur Rimbaud. He also discusses the poets' biographies and their innovative approaches to style and poetics, followed by a reading by Ginsberg of a selection of Whitman's and Rimbaud's work. Part 16: Second half of a class, and first half of the following class, on the history of poetry by Allen Ginsberg, from a class series during the summer of 1975. The first twenty minutes continues a class from the previous recording, on the work and innovation of the American poet Walt Whitman and the French poet Arthur Rimbaud. The remainder of the recording begins an introduction and analysis of the French poet Guillaume Apollinaire. Part 17: A class on the history of poetry by Allen Ginsberg, from a series of classes during the summer of 1975. Ginsberg discusses the poets Guillaume Apollinaire, Vladimir Mayakovsky, and Federico Garcia Lorca. The New York School poet Frank O'Hara is also briefly discussed. Ginsberg reads a selection of poems from the their works, followed by a class discussion. Part 18: First half of a class about the history of poetry by Allen Ginsberg, from a series of classes during the summer of 1975. Ginsberg discusses the American poet, and one of his mentors, William Carlos Williams. Ginsberg reads selections from Williams' work, and discusses his style and background. Part 19: Second half of a class on the history of poetry by Allen Ginsberg, from a series of classes during the summer of 1975. Ginsberg discusses the poets William Carlos Williams, Gregory Corso and Jack Kerouac. He includes several personal anecdotes about the poets and reads selections from their works. A class discussion follows.